PT Panjasa Intradin was established in 1993, in association with Greatways Group Companies that operate extensively throughout South East Asia. This group of companies involved in restaurants, bars, coffee shops, supermarket, bakeries, offshore services, supplies, industrial catering and remote site support services, including maintenance of kitchen equipment, mess hall equipment, cold storages and refrigerated containers. From 1993 until 1998, the company activities concentrating only in maintenance services and supply of refrigerated containers and other related services. 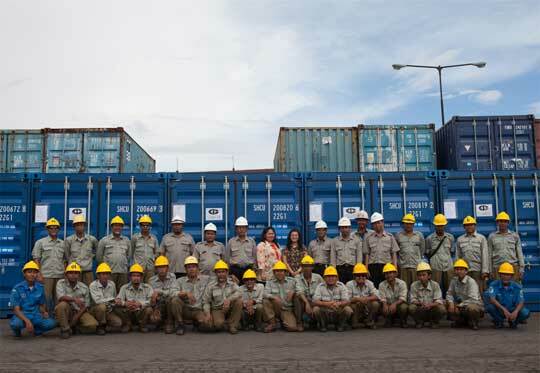 Starting from November 1999, the company initiated to a new contract of supplying and providing maintenance of over 300 units of 20ft refrigerated containers for PT Freeport Indonesia. Our professional and personalized management style and commitment has enabled us to prosper within the industry. By changing our maintenance and services from corrective maintenance to preventive maintenance, we can reduce equipment down time and keep equipment in good condition to operate. We believe and follows the common definition of a Planned Maintenance, which is the logistical management of activities, resources and time to maintain the asset at the optimum level. We always improve our skills and work ethic periodically by attending seminar, workshop and exhibition, etc. We believe in giving our customer the best value of money, because our success depend on their support and trust. PT. Apexindo Pratama Duta Tbk.